Randy Breedlove joined Trivesta in 2015 as the Director of IT. 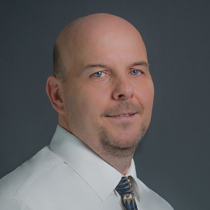 Randy brings 20+ years of IT experience to Trivesta. He has held IT positions with several notable organizations including Price Waterhouse Coopers and the Federal Reserve Bank. His duties are to oversee all technology functions at the corporate office, as well as the systems utilized by Trivesta’s advocates and members. My favorite Trivesta Core Value: Trust. It is the foundation of all values. As a member of the Trivesta team, I’m most proud of: The willingness of everyone on the team to pitch in whenever and wherever they are needed. I am passionate about: Family – I enjoy relaxing and spending quality time with friends and my family including, my wife and 2 daughters as well as my soon-to-be son-in-law.